Caesar, the one taken to be the son of god, preeminent in all things. Caesar, the penultimate power in the world and the head of the body politic of the Roman Empire, considered to have brought peace to the whole world. Caesar, the one who has first place in everything, to whom all of creation bows and for whom all creation is exploited. Christ, the image of God himself, preeminent in all things. Christ, the heir and originator of all creation and the head of the body politic called the Church of God. Christ, through whom peace has come to the world. Christ, first in everything, to whom all creation bows and through whom all creation is restored to its fullness. It is a beautiful, powerful, subversive description that has the power to keep us on our feet. We can be truly encouraged to endure as we remember the true ordering of the cosmos—Christ is above all! But it is precisely here that we are in danger of doing what too many have done—while affirming Christ as king we make him into our own image in order to fulfil our own desire for effectiveness in the world. Christ’s kingship is distorted in order to be used as the justification for all kinds of evil and social engineering. Case in point: Christendom—that large, lumbering, latrine of a project, the direct product of having confused Christ’s kingship with worldly forms of power. Christendom is the place where Christ and Caesar kiss. In such a project Christ becomes the lackey upon whom we justify our deepest desires in shaping the world how we want. His power becomes nothing less than a tool for us to effectively direct the course of history itself! In other words, what I’m saying is that we conceive of Christ’s kingship in such as way as to try to justify our making the world how we want rather than obeying God and trusting him to shape history. And it is here that disciples must remember the wisdom of Walter Brueggemann—“the key pathology of our time, which seduces us all, is the reduction of the imagination so that we are too numbed, satiated and co-opted to do serious imaginative work.” The lack of imagination precludes the possibility of perceiving beyond the confines of the imperial horizon. Luke’s thieves on the crosses beside this ‘king of the Jews’ serve as a timely reminder: one ridicules until his dying breath, unable to conjure up the imagination to see a different reality beyond imperial violence; the other perceived what could not simply be seen, a true ‘king of the Jews’. 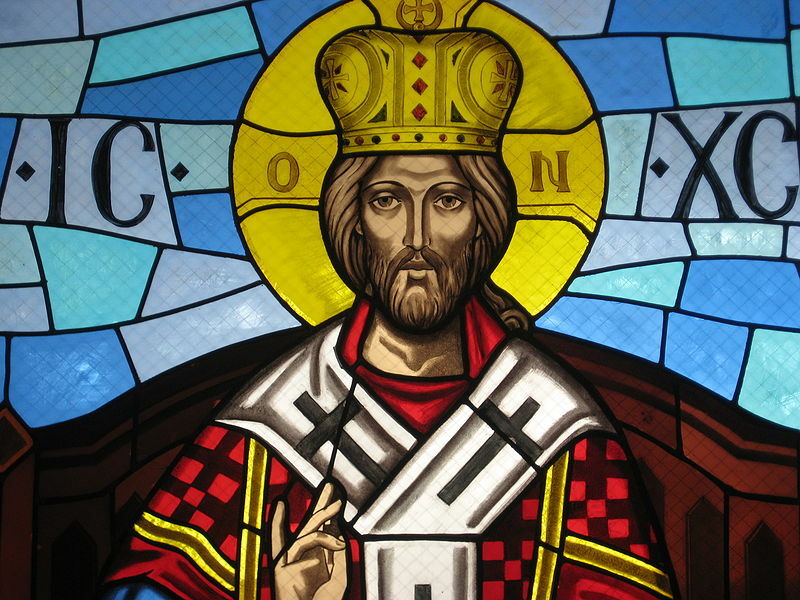 What then is the kingship of Christ truly like? What does this mean for our identity and meaning in the world? In reality it takes an act of imagination to comprehend what this might even mean. Without such imagination Christ is simply a Christianised form of Caesar. Perhaps the most poignant image of Christ’s kingship in the New Testament is that of Revelation 5, namely the image of a slain Lamb. If the temptation is for Christians to conceive of Christ as a Caesar-like figure, a conquering warrior Messiah, the Lion of the tribe of Judah, then Revelation 5 subverts any such attempt to do so (for more on this see the relevant part of my Revelation studies). While John is told to look for a lion, he turns to find that Christ is no lion—he is a slain lamb, throat cut and bleeding out. Of course, to believe that this is the way in which God wins his victory is insanity, at least by normal standards. To imagine that a dead lamb is the way in which God will have victory, over-against the mighty power of the Beast of Revelation 13 or the seductive power of the Great Prostitute of Revelation 17-18, is to challenge the status quo of might is right. It is to truly live freed from the numbness of our particular culture. To worship and trust the Lamb is to have an imagination awakened to an alternative reality, God’s perspective on things. In God’s economy victory is won through the faithful testimony and suffering of the Lamb. In this perspective Christ is a model for discipleship in which doing what is right, faithful and just always takes precedence over what is effective. The lamb that was slain is worthy to receive power!” John is here saying, not as an inscrutable paradox but as a meaningful affirmation, that the cross and not the sword, suffering and not brute power determines the meaning of history. The key to the obedience of God’s people is not their effectiveness but their patience (13:10). The triumph of the right is assured not by the might that comes to the aid of the right, which is of course the justification of the use of violence and other kinds of power in every human conflict. The triumph of the right, although it is assured, is sure because of the power of the resurrection and not because of any calculation of causes and effects, nor because of the inherently greater strength of the good guys. The relationship between the obedience of God’s people and the triumph of God’s cause is not a relationship of cause and effect but one of cross and resurrection. The way of the slain King is one of letting go of our own desire to control the flow of history. We cease to see our own desired outcome of history as an autonomous ‘good’. Rather, like Christ, we accept apparent defeat rather than colluding with evil if necessary. Suffering with Christ is, as Yoder says, “not a tool to make people come around” to our way of thinking. Rather it is the result of faithfully walking in the steps of the King who is also a slain Lamb. In taking up our crosses we trust that the God of our Lord Jesus Christ will raise us also with him. This is not to say that a commitment to being Christ’s radical nonviolent disciples is a way to “conquer” the world in the commonly understood sense. Indeed it is tempting to see nonviolence as a better way to get the same result that violence seeks. But this is not the point. Nonviolence is not first and foremost a rejection of violence; it is a rejection of manipulating and violating others to achieve our goals. This strategy for living only works of course if Christ is truly who the Scriptures say he is—it makes no sense to live obediently in this fashion if Christ is not raised and vindicated! But God, who being over history made the seeming historical failure of Jesus on the cross into the ultimate redemptive event for all creation, will do the same with our lives of faithful discipleship. And so we find ourselves in that crisis point of Luke 23, on a cross next to Jesus. Do we accept his foolish messianic vocation, or reject it and expect a more ‘effective’ messiah? A comfort because for those of us who are tired or broken we can rest in the fact that ultimately we do not control history. It is not our responsibility to control the outcome, nor our calling to be ‘successful’, but our vocation is simply to be faithful witnesses doing what is right and just and true in the midst of a broken world. In all of this we can trust that God in his strange ways is using such faithfulness to restore creation. We must remember, remember, remember the king we serve, because in our life of worship we will become like the thing before which we bend our knee. Warrior conqueror or slain Lamb? This poetic rendering of the passage is from N.T. Wright, “Poetry and Theology in Colossians 1.15-20,” in Climax of the Covenant: Christ and the Law in Pauline Theology (Edinburgh: T&T Clark, 1991), 104. Walter Brueggemann, Interpretation and Obedience (Minneapolis: Fortress, 1991), 199. Walter Brueggemann, The Prophetic Imagination, 2nd ed. (Minneapolis: Fortress, 2001), xv. John Howard Yoder, The Politics of Jesus, 2nd ed. (Grand Rapids: Eerdmans, 1994), 232. Yoder, The Politics of Jesus, 238. Posted on November 27, 2012, in Biblical Studies, Conflict and Nonviolence, New Testament, Theology and tagged Colossians 1:15-20, Effectiveness, Faithfulness, History, Imagination, John Howard Yoder, M. Scott Peck, Revelation 5, Slain Lamb, Walter Brueggemann. Bookmark the permalink. 2 Comments. Wish I’d heard this sermon on Sunday instead of what I did. So important to learn from Jesus what kingship looks like, rather than vice versa. Several thoughts: 1) This post and your “about” page lead me to think you might know/like Kavin Rowe’s Early Narrative Christology and World Upside Down. 2) You might like Joseph Mangina’s Revelation commentary in the Brazos series. 3) You might like Richard Hays and Stefan Alkier’s new edited volume, Revelation and the Politics of Apocalyptic Interpretation. 4) Sam Wells’s God’s Companions. Maybe you’re reading all these books already, but I thought I’d mention them. Seems like we’re speaking the same language on opposite sides of the world. 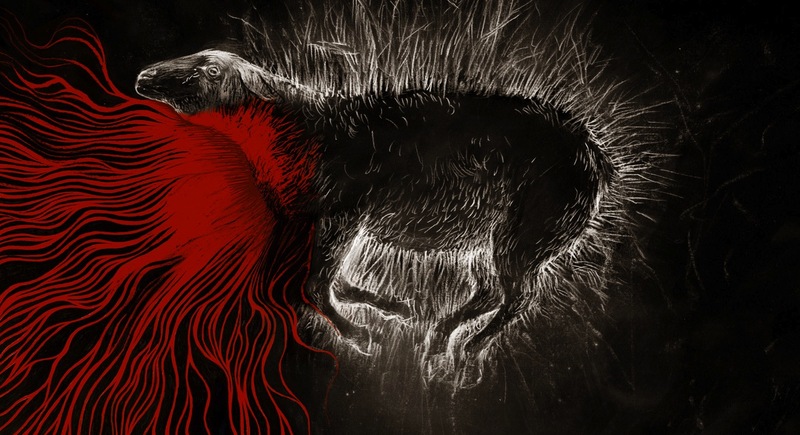 One more thing: That image of the slain lamb is gorgeous and profound. Thanks for (re-)posting.